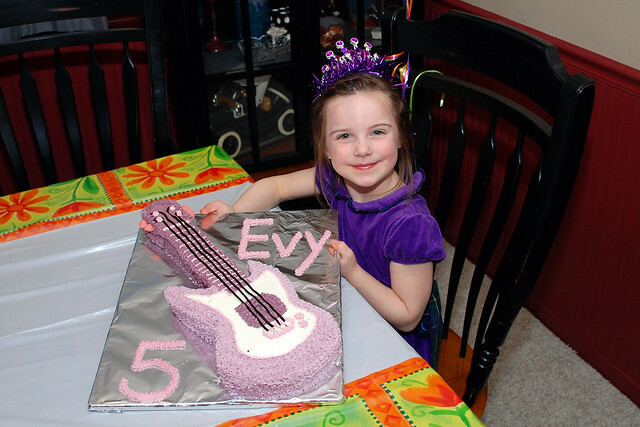 sinkerbeam: kidstuff: Evy is Five! Evelyn turned five on Saturday. She celebrated with balloons, a guitar cake and some fun presents. She woke up on her birthday morning and thought she might be a little bigger than the night before. But by Sunday afternoon she decided that five didn't feel a whole lot different than four. More fifth birthday fun is on Flickr.